Situated in San Pedro de Atacama, this hotel is steps from Plaza de San Pedro de Atacama and San Pedro Church. Meteorite Museum and R.P. Gustavo Le Paige Archaeological Museum are also within 15 minutes. 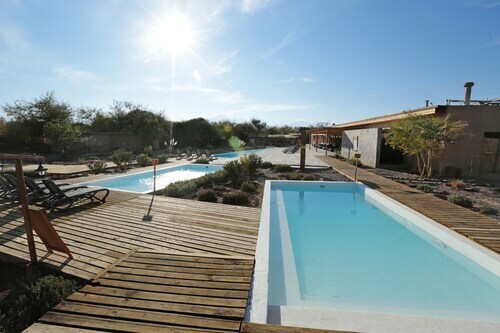 Situated in San Pedro de Atacama, this hotel is within a 15-minute walk of R.P. Gustavo Le Paige Archaeological Museum, Plaza de San Pedro de Atacama, and San Pedro Church. Meteorite Museum and Pukara de Quitor Archaeological Site are also within 3 mi (5 km). 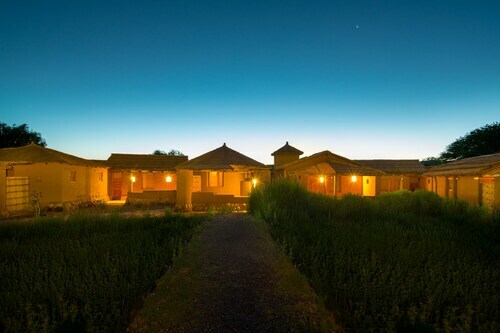 Situated in a rural location, this luxury hotel is within 1 mi (2 km) of Plaza de San Pedro de Atacama, San Pedro Church, and Meteorite Museum. R.P. Gustavo Le Paige Archaeological Museum and Pukara de Quitor Archaeological Site are also within 3 mi (5 km). 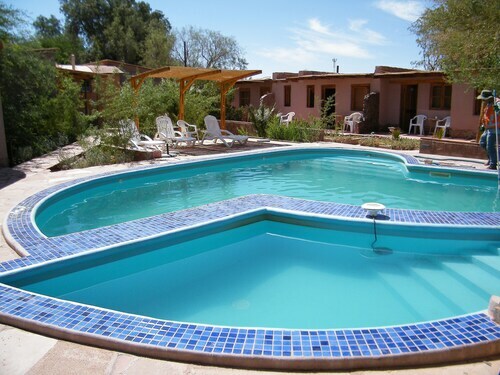 Situated in San Pedro de Atacama, this bed & breakfast is within 1 mi (2 km) of R.P. Gustavo Le Paige Archaeological Museum, San Pedro Church, and Plaza de San Pedro de Atacama. Meteorite Museum and Pukara de Quitor Archaeological Site are also within 3 mi (5 km). 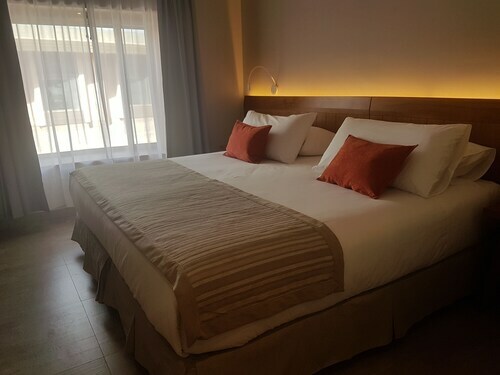 Situated in San Pedro de Atacama, this hotel is within a 5-minute walk of Meteorite Museum, San Pedro Church, and Plaza de San Pedro de Atacama. R.P. Gustavo Le Paige Archaeological Museum and Pukara de Quitor Archaeological Site are also within 2 mi (3 km). 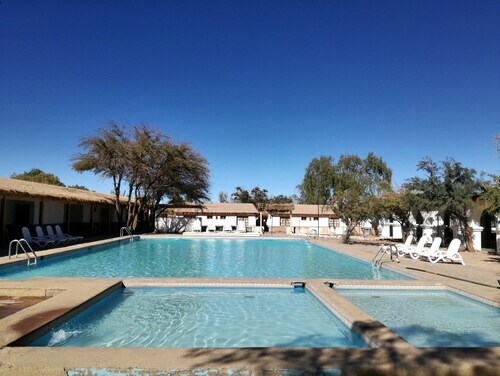 Situated in San Pedro de Atacama, this hostal is within a 10-minute walk of Plaza de San Pedro de Atacama, San Pedro Church, and Meteorite Museum. R.P. Gustavo Le Paige Archaeological Museum and Pukara de Quitor Archaeological Site are also within 3 mi (5 km). Located in the heart of San Pedro de Atacama, this romantic hotel is steps from San Pedro Church and Plaza de San Pedro de Atacama. Meteorite Museum and R.P. Gustavo Le Paige Archaeological Museum are also within 15 minutes.